The new G+ remote control shows the run functions of the GOMACO machine and the same information the operator sees at the paver’s operator console. GOMACO’s proprietary and exclusive G+ control system is known in the industry for its operator-friendly software and controls, its diagnostic capabilities, and its versatility. As the control system continues to evolve, new features have become available to GOMACO contractors. 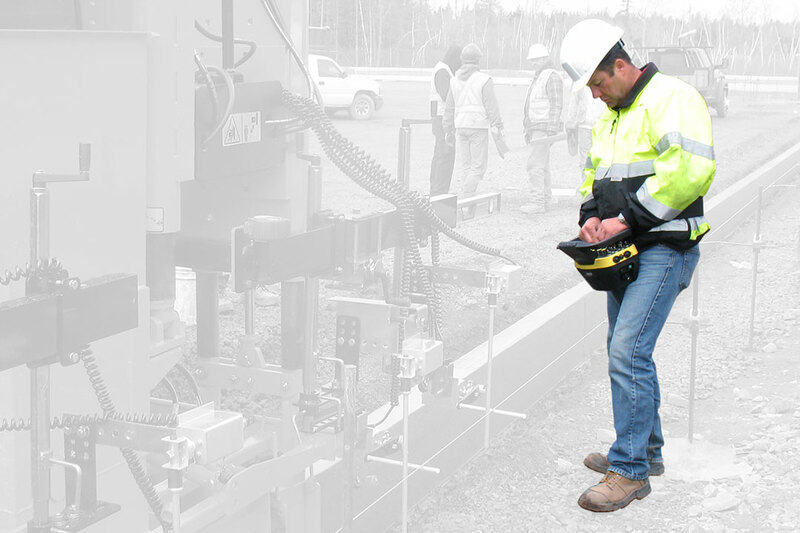 The latest innovation is the new G+ remote control for hands-on machine control at all times. The lightweight remote control allows the operator to comfortably work from the operator’s platform or from the Hands-On Machine Control with the G+® Remote Control ground, giving them ultimate freedom to move around the machine for the best view of the paving operation. The exclusive G+ remote control allows hands-on safety at all times. It has an emergency stop button and an alert horn on the remote that are always within reach for quick access. The remote control is equipped with two lithium-ion batteries and a 12-volt charger. An optional AC adapter is also available for purchase.